Final week! 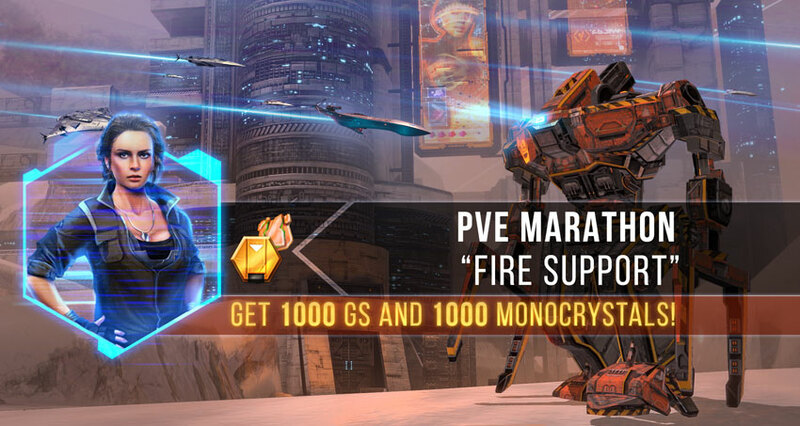 PvE Marathon “Fire Support”! Pilots! This is your final week to complete the mission! Follow the leaderboard in the “Achievements” menu. Pilots! The head of Ellydium corporation security Arlette Sokal came to us with a new task. You need to complete the PvE mission “Fire Support” in less than five minutes*! Anyone who completes the mission before March 25 faster than in five minutes will receive a reward of 1000 GS! Pilots who show the fastest time will get 1000 monocrystals! A special UMC investigation group needs your help! The old factory of the Federation was remodelled several years ago, and ships and modules for Cybers and pirates were built there. Now the plant is empty, but there is still automatic equipment in place to maintain and protect all systems. It seems that the group was ambushed in the factory. And if help does not appear within the next five minutes, the group may die! *To get a reward, you must reach and complete at least level 25. We will publish the current results in the official “Facebook” communities. Stay tuned!